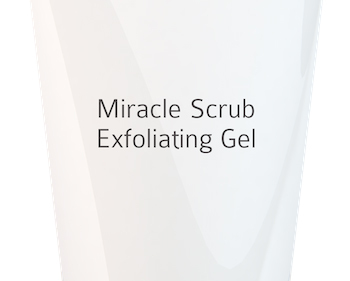 When you use Miracle Scrub, your skin pores are deeply cleansed and your skin becomes visibly cleaner and softer. 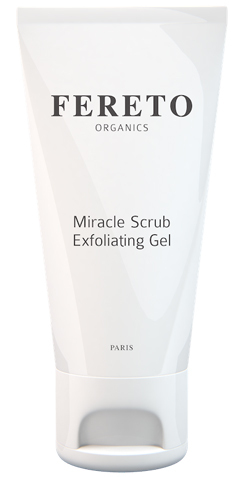 Miracle Scrub is recommended for all types of skin and guarantees a perfect cleanse and purification. Its active organic ingredients coming from a range of nautral sources – such as guarana, aloe vera, wild rose and algae extracts – have a deep cleansing effect on the pores and detoxify the epidermis, giving the skin a smooth and clean appearance, free of impurities. The exfoliating gel leads to correct levels of skin oxygenation, released pores and your skin being prepared for absorbing the active ingredients contained by specific products applied after peeling. 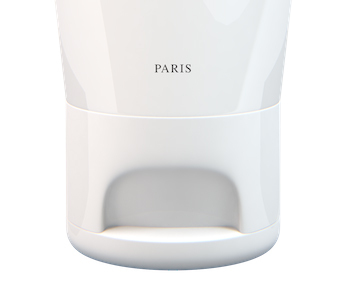 The gel also removes excess sebum and leads to a better skin penetration when applying after-exfoliating creams. To use, apply the gel directly onto clean skin, massaging with a circular motion for a few minutes. Rinse with warm water. The Miracle Scrub gel is part of Fereto’s organic dermocosmetics line of products, created together with dermatologists and chemists from laboratories in France and bio-certified by Qualité France. Fereto guarantee respect towards the environment as well as towards our clients, through every aspect of our production process. Our products are made from 100% natural ingredients, have not been tested on animals and are packaged in biodegradable recycled materials. We have seen incredible results with clients suffering from eczema, dermatitis and rosacea. 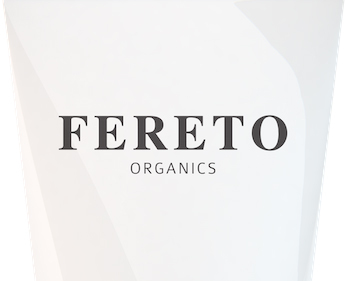 While Fereto’s products were not necessarily formulated to treat these particular skin conditions, their pure ingredients clearly bring benefits to many aspects. Why organic? Because we care about our health and the environment!